Our first week with Liam. How was he ever so tiny? Since moving to Raleigh, motherhood has felt more challenging than ever. We moved far away from grandparents and from our familiar support structure, and Liam has become much more mobile and slept much less during the day, which directly correlates to how much work I'm [not] able to get done. Because our financial situation is such that I need to work, I've been waffling between going back to nursing or continuing to work from home, weighing the many pros and cons of each situation. If it's looked effortless on the pages of this blog, I apologize. Because "effortless" is the last thing it has been. In the meantime, I've wondered... how do mothers do it? There seems to be so much pressure (perhaps self-inflicted) for mothers to somehow have a career, cook delicious meals, keep a marriage thriving, have a well decorated home, and also be "mom of the year." Add to that a culture that doesn't support working mothers very well (short maternity leave and expensive childcare) but also doesn't always allow mothers to stay home with the economy the way it is. So here's where you come in. I'd love to hear from you. If you're a mother, how are you making it work? Do you work full-time, part-time, outside the home, inside the home? Does your husband earn all the income and you are able to stay home? Are you a single mom? 1 child or 10 children? How does it work for your family? Also, what are your greatest challenges in your current set-up? What are your greatest joys? And finally, what is one truth or piece of advice that's gotten you through the rough days? I would love to hear your stories. (And if you're willing to attach a photo of you and/or your family, please do!) Email me at whitney @ elmstreetlife.com. I can't promise anything, but I am hoping to make this is a short series here on the blog as a way to encourage each other and maybe even get some helpful ideas. Hi Whitney! My husband (youth pastor) makes nearly enough to support the three of us, but to keep from literally counting our budget to pennies, I also work. I only work part time/PRN (nurse of course) on the days that Jordan has off. So 1-2 days out of the week, I work a 12 hour shift, make enough money to leave us "comfortable" and avoid putting Isaac in daycare. In the 15 months that Isaac has been here, it has worked out incredibly well. Since I'm PRN, I control the days I can work/not work. Oh I love this. I can't be of much help as I am not in the position to give you any advise but I am looking forward to read the stories and advise from the mouth os seasoned moms. We are expecting our first baby in June and although we are really excited about it, it will bring new challenges. We live in South Africa, a beautiful country, but we are both not from here so we will also be without any family to support us. I wanna thank you for your inspirational blog, I am one of those people who frequently comes to be inspired by your life and wisdom. Thanks a lot! Well, I'm not lucky enough to say I have a job, although I've always searched for one... I was unemployed when my daughter was born, almost 8 years ago. I took care of her by myself, as my parents live almost 2,000 miles away, and my mother-in-law still had 3 boys at home. Then, when she was 18 months, I found a job, and she stayed with my MIL or my husband, when he wasn't working. I had to give up that job, because it wasn't paid well (it was less than half a normal wage, for the same or more hours weekly). I have since worked part-time, or now and then for a week or two, whenever I could find something. We have my husband's wage, but in order to pay for our car, or for our furniture, we stopped eating out a long time ago. We only go out a couple of times a year, maybe. I've also gone back to university, and the days I wasn't home (leaving at 6.30 am, coming back at 9.30pm), my daughter stayed with her grandparents, who also prepared her for kindergarten or later, school. It happened many, many times, that she slept over at her grandparents' (downstairs, actually), and I didn't get to see her in the morning before I left, and she was already asleep when I got back... It's awful, not being with her all that time, but I had to. I have an uni degree in my native country (Romania) and where I live (Italy) it's not acknowledged - I'm like anybody who has never gone to school. So I need to do something, for all those years I sacrificed myself to study, and my parents, too, in order to pay for that (my mother will not have a pension, as she couldn't pay taxes, because I was in university). I'm still 5 exams and final work away from the Italian degree, but maybe I'm getting there. I lost a lot from my daughter's life, and I'm sure I'll lose more, as I have to go to uni for two more years. I also had to give up having a second child after my daughter, so she is alone, and when a brother or sister will come, she'll be too grown-up to play together... And I can't see the light at the end of this tunnel. So, enjoy that you can work from home, enjoy your son and his first years. I miss my daughter's. Hey Whitney!! I just have one son, William, and I do work full time. I am lucky to have a fairly flexible job, that allows me to go home for lunch, and work from home on Friday's. So, I really don't feel like I miss too too much. Also, William stays at home with my mom, so that is a huge blessing. It can be overwhelming sometimes to get everything done, but that is why my Crock Pot is my best friend!! ;) haha. Also, thankfully, Robbie is a huge help with cleaning, etc. I do have nursing friends who stay at home, but maybe work a few times a month. Good luck!!! I'm secretly hoping you don't get any idea advice and just move back home to Uncle Mase and Aunt Ash. Just kidding:) But seriously, we are wonderful babysitters! Love you Whit! Hi Whitney, I'm not a mom yet, but soon hope to be. But in the mean time, my husband and I are working to financially prepare for me to be a stay at home mom. Something that has truly helped us with this is attending Dave Ramsey's Financial Peace University. I never thought in a million years that a financial class was what we needed, but it's been the best thing ever for us. Dave teaches money handling in terms of being a good steward of your money, as it's not OUR money to us, but God's money to manage while we have it. It's usually offered through a church, so maybe you could see about having someone teach the class at Shawn's church. It's only 1 night a week for 9 weeks, and it will change everything! So hopefully you can stay home with sweet Liam! Oops, that was supposed to say "it's not OUR money to use, but God's money to manage while we have it." 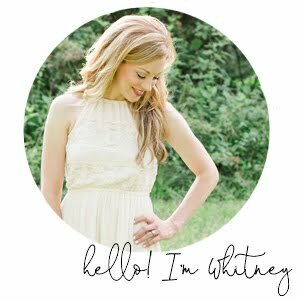 Hello Whitney...I stop by your blog now and then...so hello! I am a mother of a 21 year old...so let me recall my thoughts on this whole "to work outside the home or not.." concern. I chose to work...partly for financial reasons, and partly for the selfish need to have a little something of my own. It worked for me and my fam. As a teacher, I was blessed to have weekends, holidays and summers with my kiddo, but that could have been created with a partime gig as well (aka nursing.) 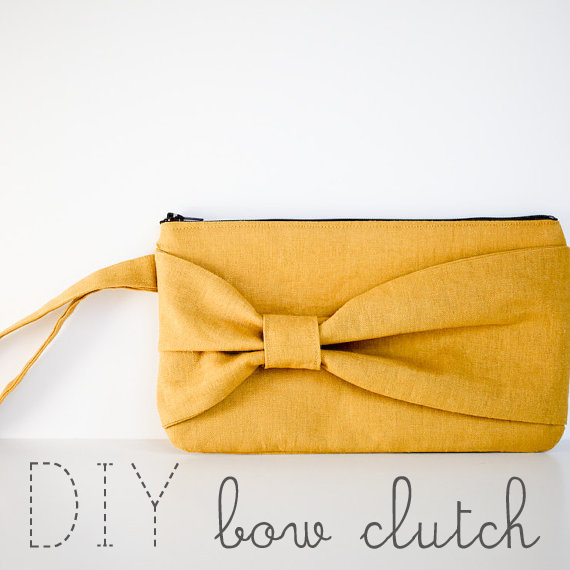 There are moms that are truly gifted at making the home-working situation sweet. But for me, I just knew that I needed a little breathing room...a little time to use my gifts and passions outside the home. And then, when I would pick her up from her little home daycare or school...I was THRILLED to see her! And we savored those hours. She is now on her own...and there were days when I certainly struggled to keep it all balanced. But no regrets. Happy we made that choice for our family. Blessings to you on your decision. Keep praying...keep trusting. There really is no "right or wrong" answer...you need to determine what is best for you...for this time of life. Hi Whitney. I stay at home with my two kids, ages 3.5 years and 8 months. We moved recently to plant a church. In addition to that, my husband, the Lead Pastor, works full time so we can pay the bills. It's a very sacrificial season in our lives. To supplement our income I'm planning to open an etsy shop by the middle of this year. Hoping that will allow my husband to cut back on some of his hours by next year some time. We don't eat out, except for birthdays or anniversaries. No vacations. Our budget is bare-bones right now. It won't always be this way, but we are doing what we can for me to stay home with our children. I don't sleep a ton - I get up at 5 to get in some time before everyone wakes up. My oldest seems to be dropping his nap, so that is an added obstacle as far as finding time in the day to get things done. But I'm thankful to be home with them during these early years! Whitney how did I not know you had a blog?! It is fabulous! I love it! I stay home with our four kiddos as you know, and we started homeschooling last fall. That kind of cements me in the SAHM position...which is perfectly fine with me! My degree is my backup plan, never the goal. The toughest part of motherhood for me is not getting a lot of "me" time. Someone always needs me for something. I've always struggled with this, especially when 2pm rolls around and I've just sat down to eat for the first time that day and suddenly everyone needs something from mommy! And now with two not napping, that break is pretty much gone too. Arnaud travels a lot, so I fly solo a couple nights a week. But...my absolute greatest joy is the privilege of staying home and raising my kids. I would not trade that for anything. Not a career, not a raise (for Arnaud), bigger home, nicer car...nothing. The good part about being home all the time is that I have learned to cook, grow a garden, and sew all on my own. I never would have had time for that when I was working. But it didn't happen overnight- it has taken years to learn! I was a terrible cook at the beginning of our marriage (almost 10 years ago). But now I get to see my kids every minute of every day, and I have the opportunity to grow their little hearts up to love the Lord. It is the most rewarding job I've ever had. As for advice...my days ALWAYS go better when I start them in prayer and in the Word. Always. That sounds simple I guess, but it is the truth. What brings me down the most is the comparison game- comparing myself to other mothers and coming up short on my end. Thankfully there's grace for that! Oh, and I am a huge Dave Ramsey fan. His principles have made all the difference in the world for us financially. I can truly say being debt-free and on the road to changing our family tree has been one of the best decisions we ever made. don't you wish you could just say, "ok. who's reading this blog?! come out, show yourself!" ha! i'm a stay at home momma to two little boys [2 & 3 months] in hendersonville, tn. we're blessed that my husband makes enough to cover the bills. although, some months are very very tight. it's just a sacrifice i need to make. i don't want to miss my kids' lives. they're just not little for long and i can't imagine handing them to someone else to cuddle and teach all day long. so we do without new clothes, we eat simple food, etc. i think i might struggle with contentedness the most. being content in our home, our MESSY home. being content not having the latest and greatest. i just always remind myself that these years are going to fly by. one day, my house will not be cluttered with toys and i'll be able to buy a new outfit whenever i want. and i'll miss this time. in a lot of ways being a momma is thankless, lonely, exhausting work. but it's the greatest gift and i just don't want to miss it. Hi Whitney! I'm one of your more silent readers...an introvert. My children are 17 and 14. A new kind of challenge from the very real one you are living now. When my son was Liam's age I was a full time stay at home mom. We didn't have much money. We were happy and I don't feel like we were in need, but we did live in a tiny little two bedroom row home! It was tiiiiinnnny! And we were happy. I had a cleaning job that I used to earn a little money. When my daughter was four I was offered a part time job. I took the job and she went with me to work. This allowed us to send both kids to private school, which is expensive here in the city! It has also allowed me to join my husband in providing for our needs, taking some stress off him. I consider the job a gift from God but that doesn't mean it hasn't been hard. Oh no, it's been rough at times! I think as women we sell ourselves short when we attempt to do it all. If you go to work as an RN try to let something else go. Take it into consideration as you contemplate the finances - will you need to eat out more? Be gracious to yourself. Parenting is a busy season! This is a very important topic. I am not yet a mother, but will be soon... Life turned out so that I got a new good job and soon after that came to know I am pregnant... Now this work-family balance is stuck in my mind always. I am going to continue working, as the job is something I was waiting for so long and also additional income will be good for my family. But we have one good advantage - we live with my husband's family (In India), and most probably his parents will have to take care of a child for some time, until I at least finish my contract with the company. However I am really worried that I will be spending less time with my child, and will not be able to bond as much as I'd like to and also make my baby know my native language, which is Russian. My heart is already breaking but at this point of time I have no choice. I guess this is the modern world's sacrifices we have to make. Mommy to four here, ages 8, 6, 4, and 22 months. I started out as a teacher and my husband a youth pastor. Found out I was pregnant the same month I began teaching. We were rather young and stupid as we had planned on the baby, we had never discussed whether I would work or stay home. In the early years, we couldn't afford for me to stay home.... due to preterm labor issues, I went on disability in the early spring of my first teaching year and decided not to go back full time. I had to work at least part time and struggled to find affordable daycare for our son. After two years, we ended up moving on to a different ministry. We still felt for our budget that I needed to work so I found a full time job at a daycare where my son could come along at a discount. Cue pregnancy number two! Big surprise!!! At the same time... we move out of state, new jobs, new baby on the way, and our son was very sick with something the doc couldn't pinpoint. He was hospitalized in my first two weeks at the new job. I was not supposed to miss any days in the first 90 days regardless of the reason or I lose my job. So I stayed with my son in the hospital and became blissfully jobless!! This is when my STAHM years began. Money was tight... and we were in debt... bills didn't get paid... and it was stressful!! During that next 6 months while I was pregnant, we took a hard look at our finances, tightened the belt and got to work. After our daughter was born, I got a part part time job at a home healthcare company for ten hers a week. IT WAS PERFECT FOR US! Finances were still tight but bills were paid, no childcare because I went to work for two hrs a day when my husband got home... over the next four and a half years, I started sewing as a hobby. I kept the part time job until our cc debt was paid off. By then I had an etsy shop although it wasn't making enough to ever bother with taxes even! This past year my shop took off...I have two kids in school (I don't homeschool...let's just say we know that is not my strong suit!) and two at home. My house NEVER looks perfect which I know is a sore spot with my mom. I am an average housekeeper...I like to create... and I have children. Messy house 😁 and something I am continually trying to work on. Trying to pick up with a 22 month old in the house is like blending something with the lid off! So my routine right now looks like...hm, I sew in the am if I need to get an order out but try to keep it to evenings. My machine is in the LR. We installed a gate to keep the youngest in with me. It is hard! But I do not want a regular job. I cannot fathom trying to keep house and have a job! It is late and this is probably the most random thing I've ever written! Picking up the house sometimes needs to be a priority, sometimes you have to sew, and sometimes you have to enjoy your little one 😁 You'll know. I struggle with this quarterly, it seems. I continuously contemplate working less/more, working from home, etc. Currently we are experimenting with home school, which has forced me to stay home more. However, I still work 4 hours a day to help out financially, yet I am finding more as time passes that it's almost impossible to work daily and keep up with homeschool (we have our 6 year old that we are teaching as well as a 3 and 2 year old, so it isn't always easy to get through the morning)... I am currently conflicted like you, but praying on a solution daily. It's very difficult but I just take day by day. It's all I can do for now! Hi, mom of 7 here. My kids are mostly grown, but I really wanted to be a SAHM when they were little. We made many sacrifices (such as living in a small, fixer-upper home, buying clothes from thrift shops/yards sales, etc.) so I could be home, but I always tried to find things to do from home to supplement the family income. For me the key was having a routine where the children learned from a young age to play quietly by themselves for short periods of time, take rest times (even when too old for naps), learn not to open or get into things that did not belong to them (took some time but they can be trained), etc. I did not have a TV and so did not have to resist the impulse to use it as a babysitter. I tried to teach my kids not to jump from one activity to the next but to spend a reasonable amount of time, according to their age, on one activity. Kids do have short attention spans, but they can learn and be trained to spend a concentrated amount of time doing one thing. All these things enabled me to get some of the things done that I needed to do. Once the children were 3-4 years old, they could actually be of help in my home business. I made artisan jams and jellies for sale in tourist shops in my hometown. The kids could wipe off the jar lids and put jars into packaging boxes for me. They helped pick berries for making jams, etc. Children will rise to the level of what you expect from them--think of the responsibility young pioneer children assumed at an early age. We don't expect enough from our children and they enjoy feeling important, responsible, and needed. Anyhow, that's what we did and the kids still remember with fondness those days of all of use working together at home in our little house. January's goal: Eating at home. Chocolate "ice cream" for littles.